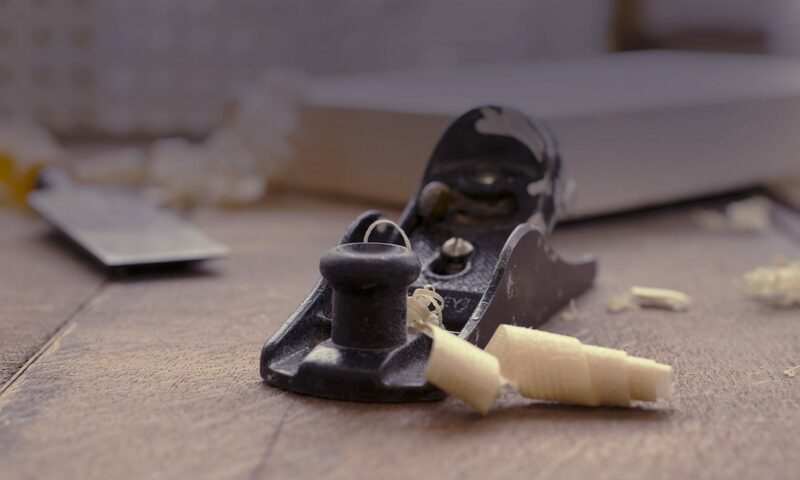 It seems as though the term “jig” has an undercurrent of negativism when it comes up in conversation among woodworkers, particularly handtool or traditional woodworkers. Usually when the word “jig” occurs, there is some variant of sniggering, shaking of heads, with the implication that one who uses a jig in their work is not capable of doing the work simply by hand and by eye. In other words, jig appears to have a pejorative connotation. I am at a failure to understand the roots of this perspective or how we could dismiss some tools out of hand, but readily accept others. It is possible that a jig is something that is perceived to be predominately used by power tool woodworkers (the plethora of table saw jigs comes to mind). And thus there is the “us” and the “them” dichotomy. Actually, I have found that both hand tool and power tool woodworking require a good deal of hand and eye coordination. The details of the learning curve may be different, and the skill set a bit different as well. But what you get out of something is still just a function of what you put into it. However, let’s first go to the fundamentals. The word jig apparently is of Middle French and Germanic origin, first recorded used possibly around 1560. It is used both as a noun and as a verb. The word is derived from giguer (to frolic) and gigue (fiddle). Nowadays, the word has several meanings, which can clearly be related back to its origins. A jig is a type of dance in triple rhythm, and also a style of traditional music. It can refer to a game or a trick, as in “the jig is up”. It is used to denote a volume of liquid (a jigger). As a verb, it refers to the act of jerking a fishing lure up and down in the water, as well as the act of equipping a factory or workshop (jigging up). Here is the definition of a jig, from the Merriam-Webster dictionary: A jig is a type of custom-made tool used to control the location and/or motion of parts or other tools. A jig’s primary purpose is to provide repeatability, accuracy, and interchangeability in the manufacturing of products. A jig is often confused with a fixture; a fixture holds the work in a fixed location. A device that does both functions (holding the work and guiding a tool) is called a jig. This definition uses the terms “jig”, “fixture”, and “device”. In my mind, device would be the broadest of these three terms, and would include any item that a human is meant to interact with. Fixture narrows the field down somewhat, with the sense that fixtures are relatively static. The concept of jig is even more specific, in that it is a fixture that has a further function, to allow work to be done repeatedly. The stick that a monkey might thread down an ant hole, would definitely be a device and depending on how zoo centric we humans are, a tool. A holdfast on a workbench would be a device and very likely a fixture, since its role is to hold an object fast, but not necessarily to allow work to be performed on it specifically. How about a bench hook? This is a device, more specifically a fixture, and it is used to hold an object so that work can be performed on said object in a repeatable fashion. I would admit that a bench hook is possibly in the gray area between fixture and jig, but a good argument could be made that it is a jig. Squares and bevel gauges might also fall into this gray area as well, Not to mention a story stick. Actually, I think that the last item is absolutely a jig. Here is a really great example of a jig that I am pretty sure no one would single out as a jig: the miter box. The miter box meets every aspect of the definition of a jig. As does a miter jack. Not to mention a shooting board or donkey’s ear. I have a theory that the pejorative use of “jig” is reserved for those devices that do not have a specific or clever or interesting name. You could say that objects with names get respect, but anything that is just lumped into a broad category labeled with one generic name gets no respect. Recently, I made a device to hold two brass parts of a depth stop together so that they could be soldered into one piece. I could call this device a “Holding Two Parts of a Depth Stop for the Purpose of Soldering Repeatedly” jig. However, it is actually just a jig, with no name. If I call it a “jig”, will people scoff at it? If I give it a name, will it be enthusiastically accepted? When I use this jig, I get a very repeatable result, but I definitely need to use all of my hand and eye coordination to get that result.